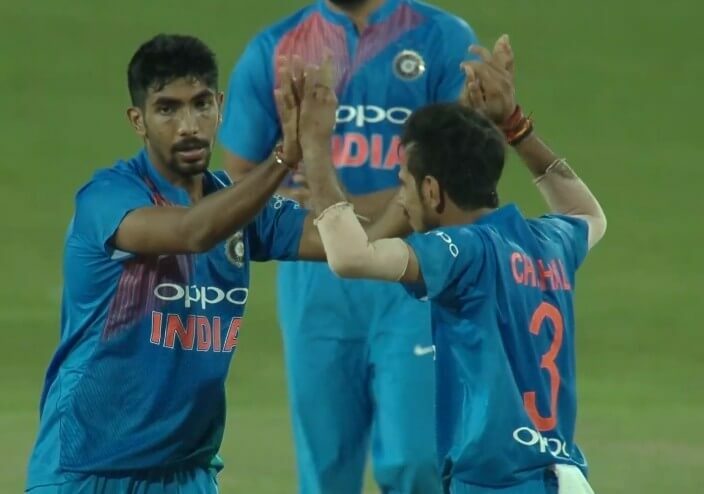 Team India will be without the services of Jasprit Bumrah, Kuldeep Yadav and Umesh Yadav for the 3rd and final T20I against Windies. The trio has been rested as the Men in Blue have already clinched the series 2-0. The last game will be inconsequential and it makes sense to give rest to the premier bowlers. India has an important tour of Australia coming up this month. Post the tour down under, the players have a busy schedule as IPL is lined up next year before the all-important World Cup. BCCI has followed the policy of giving enough rest to the key players. The captain Virat Kohli was also rested from the ongoing T20I series. Siddharth Kaul has been recalled to the squad for the final T20I to be played on Chennai this Sunday. The 28-year-old pacer last played for India in the Asia Cup in the tied encounter against Afghanistan. He had made his T20I debut against Ireland and then featured in the series against England as well. The Rohit Sharma-led side dominated the visitors in the 2 games played so far. The matches played in Kolkata and Lucknow were heavily one-sided and the Windies have looked out of sorts. Indian squad now consists of 14 players for the last game. The team management would now be looking to test the bench strength. There are players like Shreyas Iyer, Washington Sundar and Shahbaz Nadeem who have been warming the benches so far. We might see some or all of them taking the field at the MA Chidambaram Stadium, Chennai.